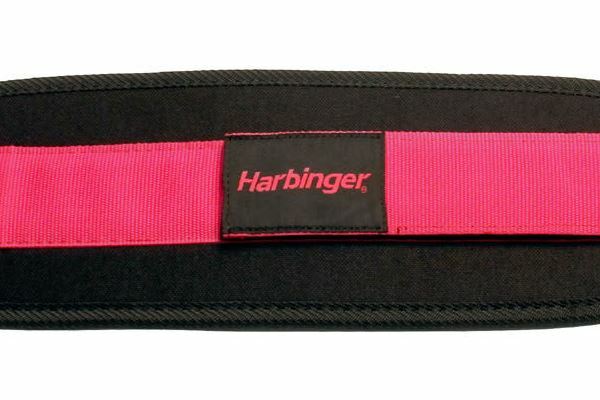 The Harbinger women’s weightlifting belt features a lightweight foam padding. 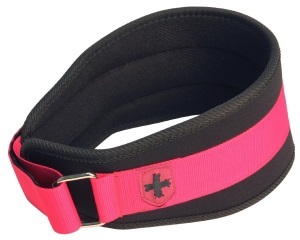 Being designed specifically for women, the belt is 5 inches in width. It is black in color but the outer band is available in three different colors. These are green, pink or purple. It features a soft and breathable lining, and the buckle is manufactured from heavy gauge steel featuring a roll clip. 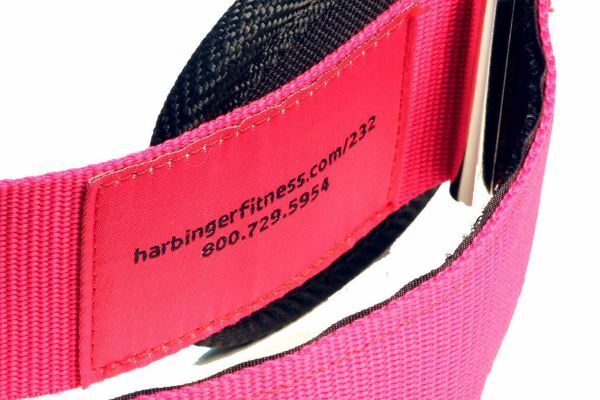 Three sizes are available in the Harbinger women’s belts which are medium, small and extra-small. At first glance, the Harbinger belt appears thin and perhaps flimsy. But in fact, it is actually very robust, well-built and durable. This is this is due to 2 things. The sturdy outer banding (which comes in a different color) provides an excellent level of support around the midsection. The belt is very easy to get on thanks to the buckle and roll clip. Simply place the strap around the buckle and then pull until you get your desired tightness. 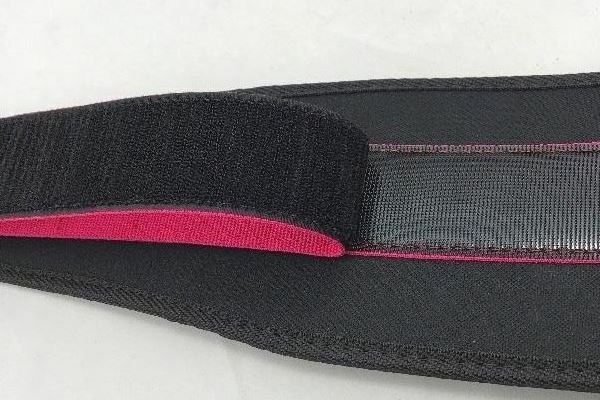 Speaking of tightness, this is a very easy belt to get remarkably tight so there is no messing about trying to get that feeling of security in the gym. When wearing the Harbinger belt, it feels very comfortable and yet supportive at the same time. Because the outer band is not particularly wide, it does not hinder your flexibility like a thick leather powerlifting belt might. You can easily crouch down for deadlifts or if you need to perform any Crossfit exercises. The lightweight and breathable nature of the belt also makes it very easy to move around and wear for extended periods of time. We did find that the belts can sometimes slip a little during extremely intense workouts over extended periods and so may require little more adjustment than some of the belts. This is likely due to the outer band being thinner than that of other belts. Being very comfortable, this belt will not pinch or have an awkward fit in any way. When it comes to getting the belt off again, it is very easy. You just have to undo the Velcro pull strap and then pull it through the buckle. Then it’s lightweight enough be be folded or rolled up and placed into a gym bag, taking up very little room. The Harbinger women’s belt is well worth it’s price tag. We highly recommend this belt from a well-trusted brand to anyone doing cross fit or requiring extra supports when doing amateur weightlifting. Obviously, if you are a powerlifter lifting extremely heavy weights, we recommend thick leather belt instead.